Red granite obelisk set on a square plinth and base. 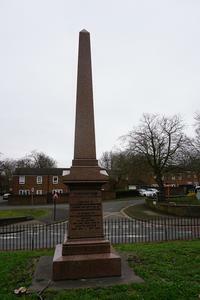 The dedication and names are engraved in black lettering on the sides of the plinth. 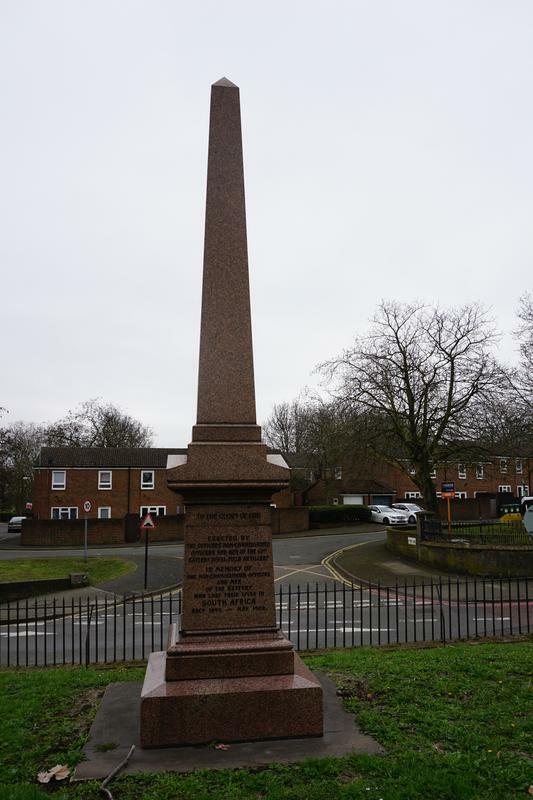 To the glory of God/ Erected by/ the officers, non-commissioned/ officers and men of the 61st/ Battery Royal Field Artillery/ in memory of/ the non-commissioned officers/ and men/ of the battery/ who lost their lives in/ South Africa/ Decr., 1899 - May 1902.